Last Thursday a sod turning ceremony was held to officially launch construction on the new Stromlo Leisure Centre. 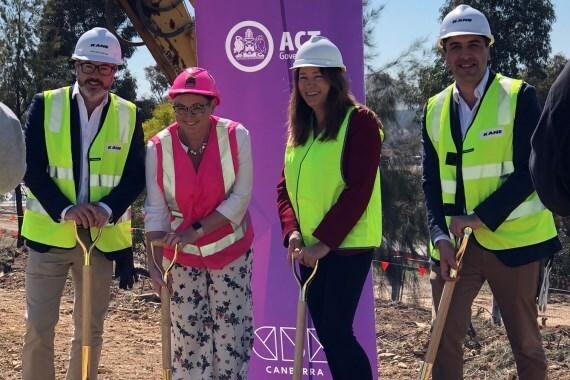 ACT Deputy Chief Minister and Minister for Sport Yvette Berry and Murrumbidgee MLA Bec Cody shared the sod turning honours with Joint Managing Directors Tristan Forster and Richard Frisina of Kane Constructions. 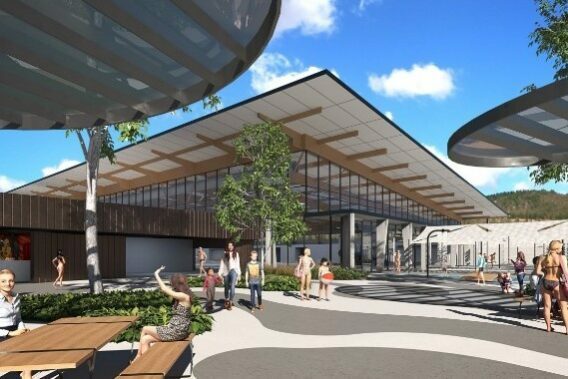 Stromlo Leisure Centre is a $36.6 million facility located at Stromlo Forest Park that will service more than 100,000 people in Weston Creek, Woden and the Molonglo Valley. The centre will include a 50 metre lap and competition pool, a gym, leisure pool, toddlers' pool, splash park, creche and more seating throughout the centre to ensure the facility meets the needs of this growing area. Following a two stage bid process, the Kane team comprising Cox Architecture and Sellick Consultants was engaged to proceed with design and construction. 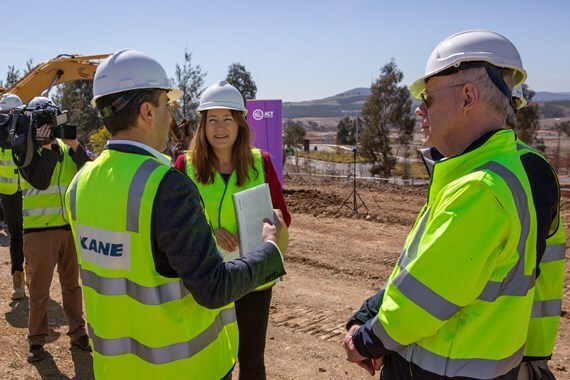 We are pleased to be working with ACT Government to deliver this important project which will serve the sport and recreation needs of the local community for decades to come. Construction will commence at the end of September and is expected to be complete in early 2020.